I love what you are doing with the TuttiFrutti - will be keeping an eye out for it! Thank you, and please do come back. I promise to show you what it looks like when I get it all together. haha relatable is such a good word to use--I've already written up my post and it is so similar to your! 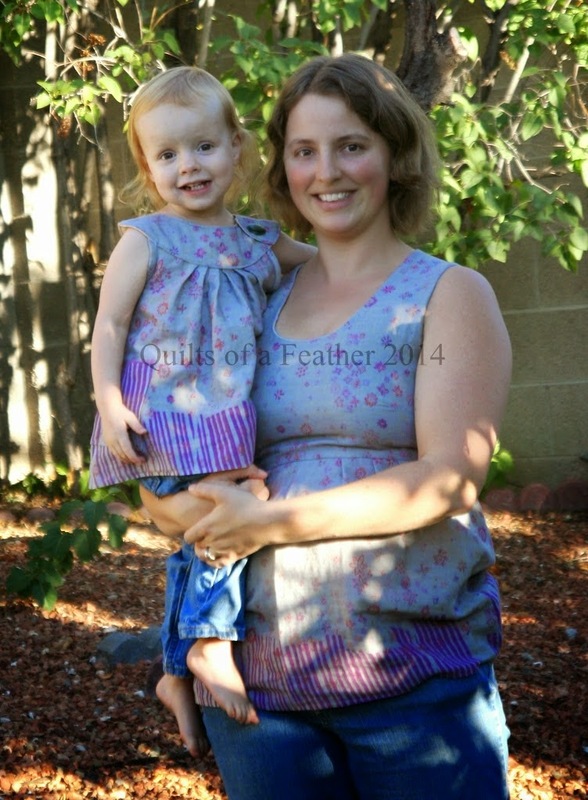 I love what you're doing with the Tutti Frutti pattern! It's going to be gorgeous! 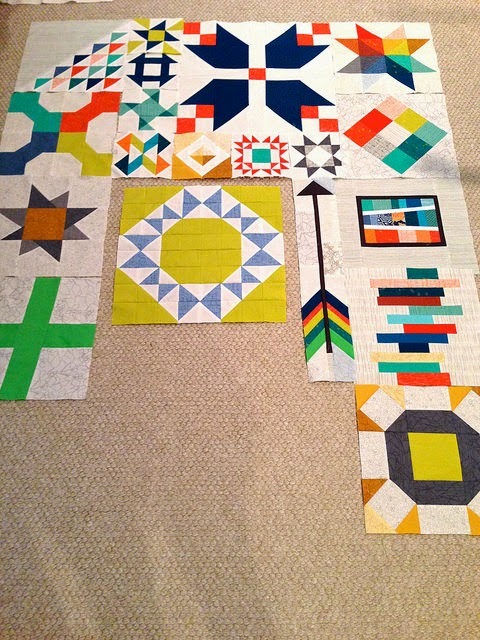 Seeing how it all looks when it's together is one of the most motivating parts of the quilting process for me. I hope the final result is a successful combination of the modern aesthetic and Gail's artistic style. It's hard to tell when I only have bits and pieces, as well as a colored pencil outline. I really like your answer to the question about how your work differs. I think it is fabulous how we all create a bit differently, and it is fun to see those differences in style and preference. I think it may actually be easier for the outside observer to distinguish the differences. I often gravitate to certain colors, patterns, and styles without being consciously aware. Afton, your response was every bit as interesting and well-written as I expected it would be! 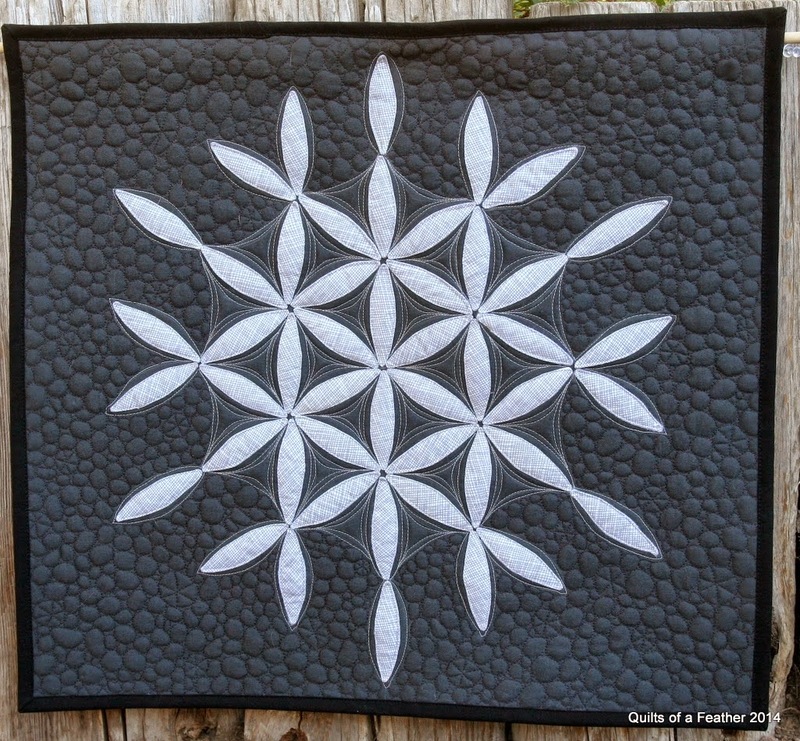 I am flattered by your introduction, but even more, I am so impressed by your work and the way in which you approach your quilting. 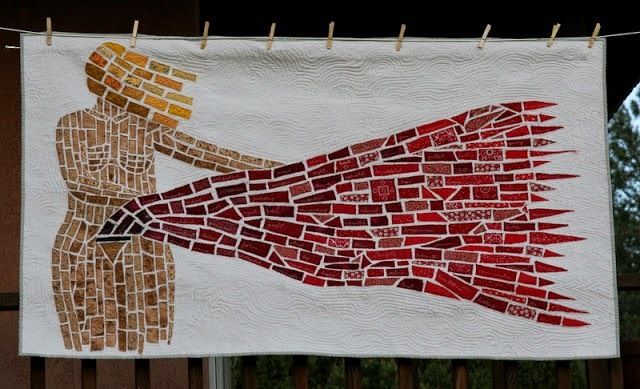 I'm also really psyched to be re-introduced to Renee and her blog -- I remember seeing her cesarean quilt a while ago, and it had a such an impact on me. Thanks for the great post! Thanks for tagging me. I really appreciate having Renee in town. 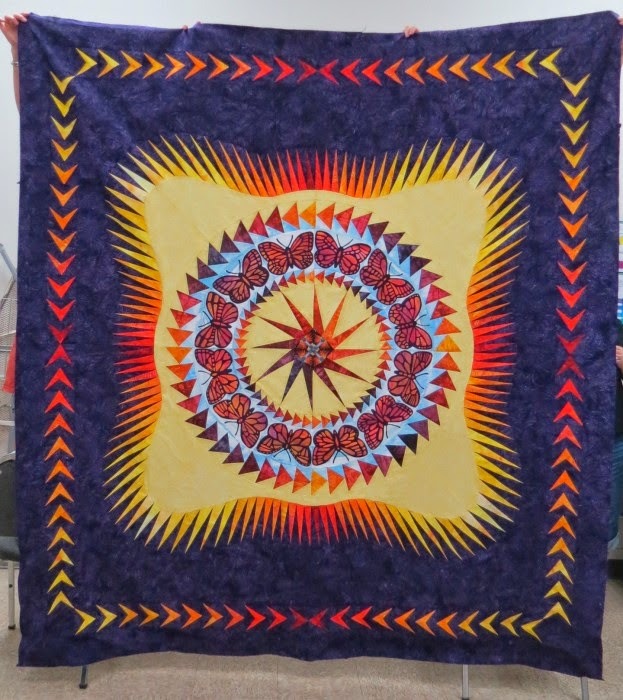 It's fun to meet up with her at New Mexico Quilter's Association and Modern Quilt Guild. 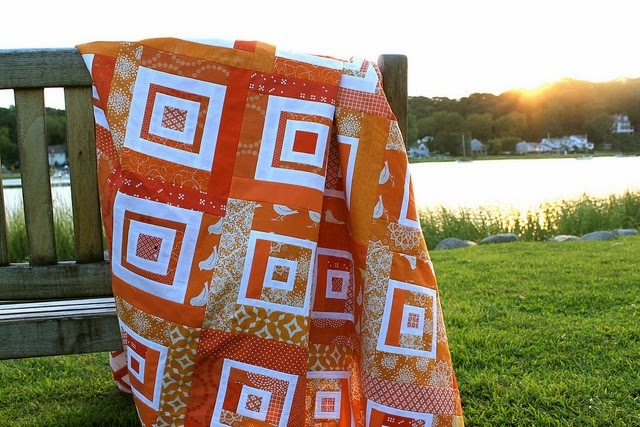 That Tutti Fruitti quilt is just amazing! I can't take any credit for the completed version. That was all Donna and Gail. I do hope my version lives up to the legacy. Thanks for visiting my blog and friendly comment. I am impressed of your piecing and experiment with flying geese. Love to see it finished. It's coming along. I love being able to see more and more of what it's going to look like. After reading this post I've just one word to say and that is "awesome"! I love to visit this blog. 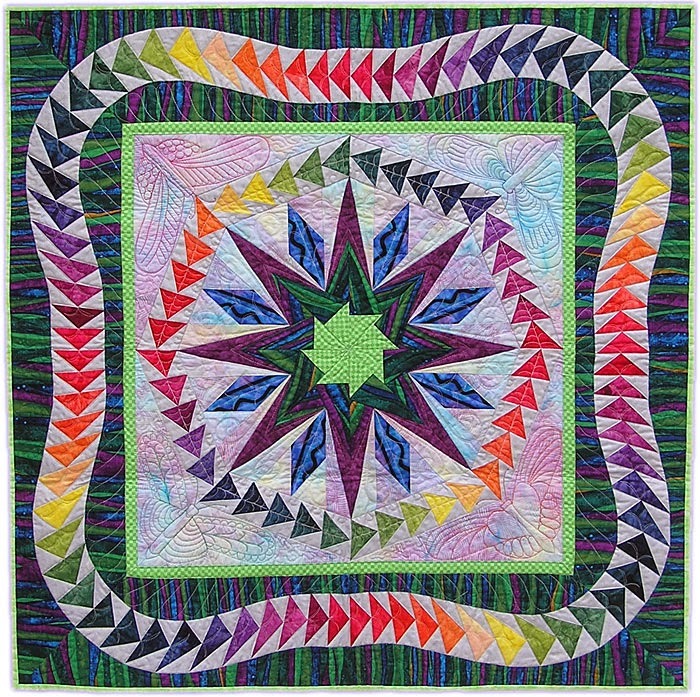 I really love what you are doing with the Tutti Frutti pattern! It's going to be big fun! Thanks Carmen. I appreciate the visit!